Casino.com is running a Free Spin Special promotion that is giving you the chance to enjoy free spins every single day. All you have to do is play at the casino from 7pm to 9pm every day and they will give you some free spins. For every £10 you deposit during the Happy Hours they’ll give you 10 free spins straightaway. Best of all, you can claim up to 100 free spins a day and with that many spins you could win a serious amount of money. 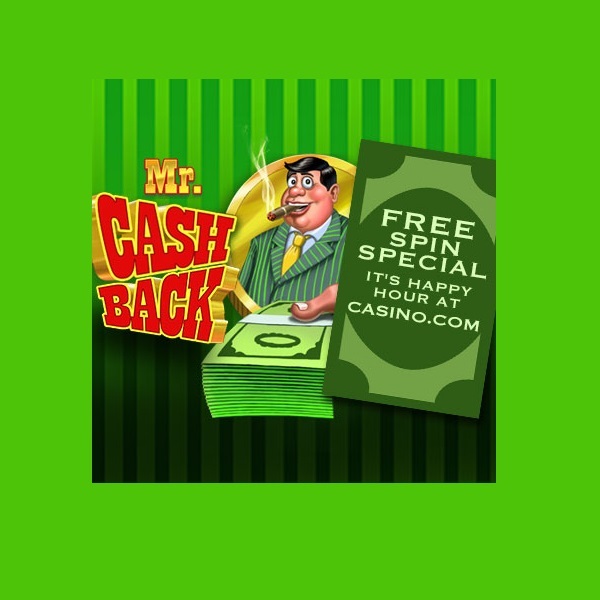 The spins can be used on a different slot each month and throughout August the selected game is Mr Cash Back. This is a great chance to enjoy some free spins while enjoying top quality slots. Make sure you visit Casino.com during the happy hours to claim your share.